Don’t Miss JD McPherson w/ John Moreland | TONIGHT @ Mercy Lounge! Get ready to get your socks knocked off by two Oklahomans TONIGHT, Oct. 28 at Mercy Lounge as JD McPherson and John Moreland ride into town. Both have recently released absolutely stellar new albums, and both have a live show worth traveling for. If there were ever two people who have their fingers, ever so benevolently, on the pulse of American music, it’s these two guys. Don’t miss this! Doors open an hour before an 8 p.m. showtime. Tickets are $20, and the show is 18+. Read on for more info about the acts! When JD McPherson burst onto the scene a few years ago with his debut album Signs and Signifiers, the band’s striking throwback traditional American rock ‘n’ roll sound and slicked back hair made a palpable case for the invention of a time machine. As they magically transformed rock clubs and theaters around the country into Oklahoma dance clubs, many became absolutely enamored by the man, the band, and the music. What makes the case even more intriguing however is that McPherson is a former middle school art teacher who did his undergrad in experimental film and will ode to the influence of David Bowie and the Pixies as much as he does to Chuck Berry. McPherson is way more interested in a kind of unifying trans-chronological relevance than he is in a time machine. It’s a statement that has been unequivocally confirmed by McPherson’s recent sophomore release Let the Good Times Roll (released Feb. 9 on Rounder Records), which McPherson has described as “an art piece disguised as a R&B record.” Fuzz bass, analog tremolo, and punk chord progressions galore, the breadth of influence evident on the record is staggering, but all combines into something that is amazingly, cohesively and distinctively JD McPherson. John Moreland will make you cry, fair warning. Don’t say we didn’t tell you. But it will hands down be one of the top five cries of your life, and we talked to everyone at Mercy Lounge and they said they wouldn’t tell. John Moreland, after blowing out his ears on punk music in his youth, turned to the kind of intimate, beautiful, lyric-driven songwriting that warrants such introduction. He honed his vocal technique in noisy bars, where he figured out that people would shut up if he sang it like he meant it. He’s been garnering fans and acclaim since the 2011 release of his debut album Earthbound Blues, and the attention has only been increasing with his third release High On Tulsa Heat, which dropped on Apr. 21 on Thirty Tigers. It’s a truly impressive album full of depth and haunting beauty. If you haven’t already caught a John Moreland set, make sure you do it now. 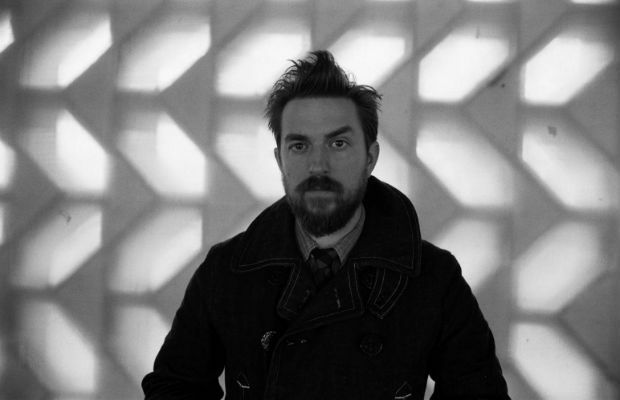 JD McPherson and John Moreland will perform tonight, Oct. 28 at Mercy Lounge. The show is all ages, begins at 8 p.m. (doors at 7 p.m.), and tickets are available for $20. ELEL, Buffalo Rodeo, Luella, The Combo, & Sad Baxter Join Our 4th Annual Caroling Lineup!